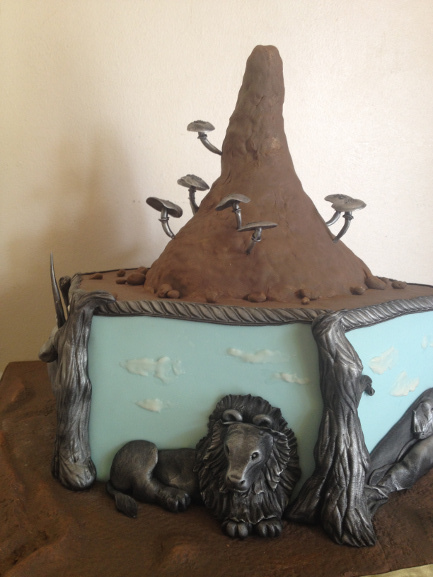 An hexagonal cake provided six panel each framed in rustic wood reliefs as well as Namibian wildlife for an enthusiast's birthday. The topper is an anthill with omajova growing on top. All relief work done in pewter sugar art.